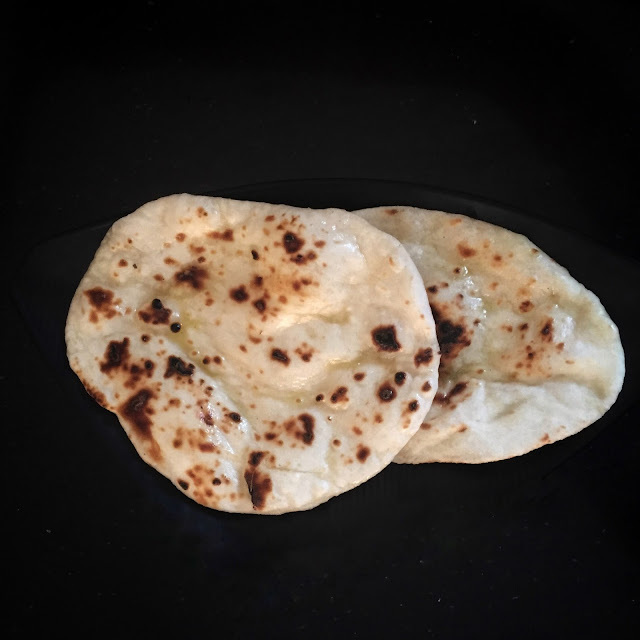 Naan recipe on tawa with step by step photos. Learn how to prepare naan at home with step by step photos. Naan is a very popular restaurant dish. It is prepared in a tandoor. Due to this reason, most of the people don't prepare it at home. So today I will be sharing naan recipe that can be easily prepared at home on a tawa! Read the detailed recipe with step by step photos below. Mix maida, baking soda, salt and curd. Initially, add a little curd. Knead it. Add more curd whenever required. I have not used water for kneading it. Keep it aside in a container for at least 2 hours. It will be great if you can place it in sunlight. Take a small section of the dough. Roll it in oval/round shape. Use maida for dusting. Brush water on one side of the naan. Place naan on the tawa with waterside facing downwards. Press it a little. It will ensure that naan sticks to the tawa. Flip the tawa on the gas stove and let it cook directly on the flame. Make sure that the flame is high. Refer the images below for this step. Keep the tawa on the stove once naan is cooked. Apply some butter. This step is optional. Scrape naan from the tawa. 1. Mix maida, baking soda, salt and curd. 2. Prepare a soft dough. Add little curd initially. Knead it. Add more curd whenever required. 3. Keep it aside for at least 2 hours. It will be great if you can keep it in sunlight. 4. Take a section of dough. 5. Roll it in oval/ round shape. Use maida for dusting. 6. Brush water on one side. 7. Place it on hot tawa with wet side facing downwards. 8. 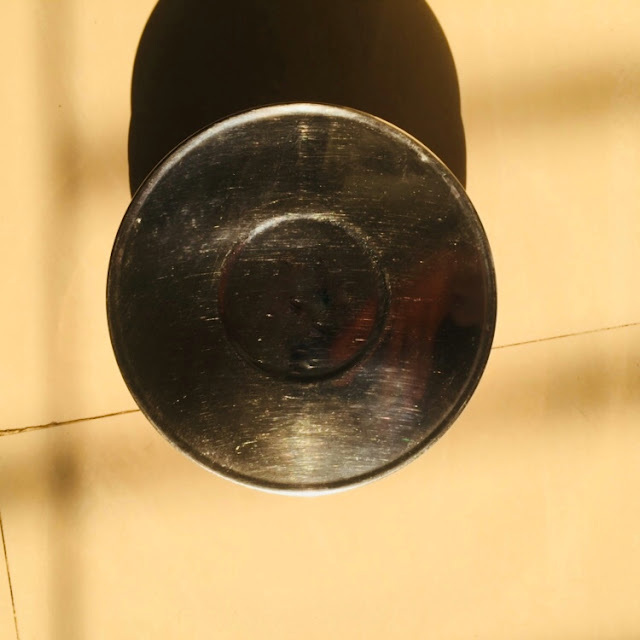 Flip tawa on the gas stove. 9. Naan will start bubbling. 10. It will start getting brown spots. Keep on moving the tawa so that it is roasted evenly. 11. Place the tawa back on the gas stove. Brush some butter then scrape it from the tawa. 12. Naan is ready! Serve it with your favourite curry. Do not use a non-stick pan. It is important for the naan to stick to the tawa otherwise it will fall on the stove. Apply a generous amount of water on one side of the naan. Press it gently after keeping it on tawa. I think this covers all the problems that might come during the preparation of naans. Still, if you have any doubt or you are facing any difficulty while preparing naans at home then please let me know in the comment section below.